Last blog, I talked about the most important lean tool being the eyes. The eyes allow a person to the reality of what is happening and gather facts. So, if direct observation is important then how should a person go about doing it? Have a purpose before you go out to observe. Are you going out to see a particular problem? Are you going to audit a specific process? Is there a process you trying to improve? A specific type of waste you are looking for? Whatever your purpose, understand it before you go out to observe. Explain what you are doing. People get cautious and worried when someone is just standing to the side watching their every move. Tell them why you are there and ask them to explain anything they feel is important. Be in the moment. Don’t answer the phone. Don’t start other conversations. Just observe. Stand in one area and watch what is happening with scrutinizing intent. Ask clarifying questions. If you need to better understand something, ask the person doing the work questions. Don’t leave without having answers to your questions. Take notes. You are there for a purpose, so write down what you need to remember. Notes of what you observed are your facts. Take prompt action. Don’t wait days to do anything with the facts you have gathered. Things change quickly so use what have you seen before the facts become outdated. Good luck and happy observation! Tony Ferraro, a friend and fellow blogger, at Creative Safety Supply has created a great resource for 5S. It is a single source to learn about 5S. Here is a link to the website: 5S Study and Research Page. Tony reached out to many in the lean community to help build the page. I was fortunate enough to have the opportunity to give input into this great resource. I would recommend it for anyone learning about 5S as a great place to understand what it is and how to get started with implementation. There are plenty of great visuals as well. Here is the link again: 5S Study and Research Page. Take the 10 minutes to watch the lean parody posted on the page as well. It is very funny. Working for the automotive supplier, I had moved from industrial engineer to program manager and now into the lean group. The lean group comprised of just myself and one other, Joe Wilson who has contributed here at Beyond Lean. One of our first assignments was to implement a plant-wide kanban system in 4 weeks. It was a mandate that came down from our Vice President to all the plants. In that short time, Joe and I had to learn about kanban, devise a system, create a simulation to teach 500 employees and implement the system. Good thing we were young and full of energy back then, because I don’t know how we did it but we did. We developed kanban cards by color signifying which department the card need to return to in order to place the order for more parts. We then created a very simple Lego simulation. The simulation was good for 5-6 people at a time and allowed each person to be hands in order to create better learning. 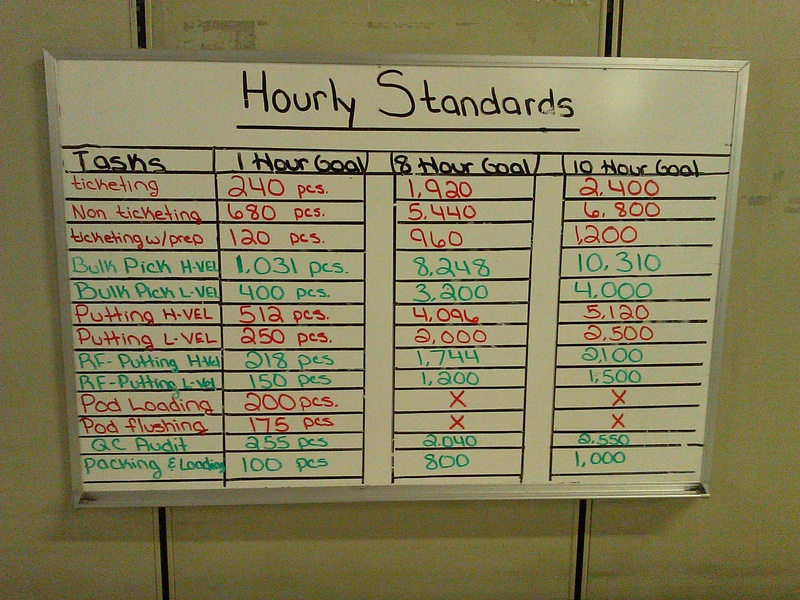 We also used the exact kanban card that we were going to put on the shop floor for the simulation so the employees got used to seeing them and could give feedback on them. We then trained 500 people on the simulation, five at a time across three shifts. One rule we stressed the employees was, “Do NOT violate the kanban!” If you don’t have a card, you don’t build. 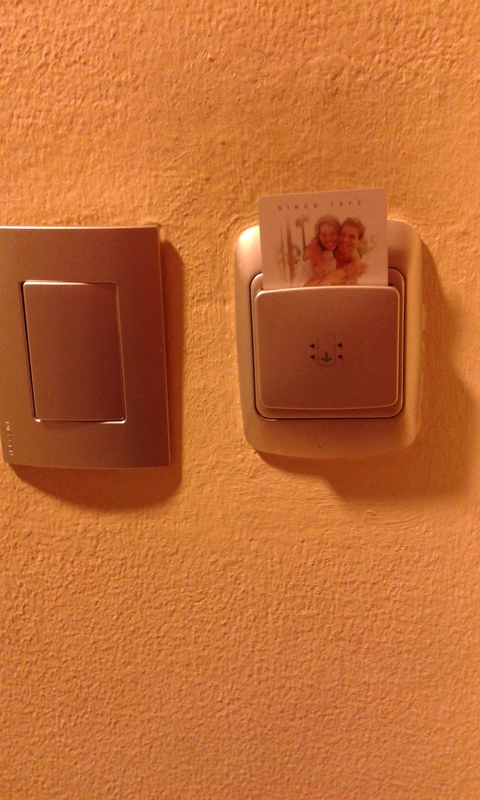 Even if you know cards are in the internal customer’s hand and haven’t been brought to you. That holds the customer accountable for “ordering” the parts from the supplying department. Everyone was ready to go live on our due date and we nailed it. Not saying there weren’t problems, but we hit the date and people were trying their best to follow the new procedures. Then it happened. Our go-live date was mid-June. If you are familiar with the auto industry, everyone shuts down for retooling for a week or two around July 4th. So one week into the kanban system, our management was telling everyone to violate the kanban in order to build the bank of parts for the few shipments we have during the two week shutdown. Yep. Violate the Number 1 Rule right out of the gate. It caused Joe and I a lot of rework after shutdown to get the kanban system back up and running. In the end, it worked well thanks to the great employees and the management support, but the false start didn’t help. Building the bank of parts for shutdown was the correct thing to do at July 4th. What we need to be more conscious of is when we start something. It would have been better to start the kanban training after shutdown so we didn’t have the false start and have management telling everyone to violate the number 1 rule right off the bat. We made kanban cards that were small. 4 inches x 3 inches or so. Cards were get dropped and lost quite a bit. It is better to make larger kanban cards (8 inches x 6 inches). It is harder to lose these because they are easier to see and don’t fit in pockets without folding a laminated card. Creating a simulation that allowed everyone to be hands-on and using the actual kanban card from the floor really helped to create learning, understanding and good dialogue with the employees. Many of you may know that I have experimented with personal kanban boards, traditional and digital. In fact, I will have another update in a few weeks. Today, I wanted to share with you an idea I saw but have not tried. It is using the desktop screen on the computer as a kanban board. You can save a .jpg file of a kanban board as your Desktop background. 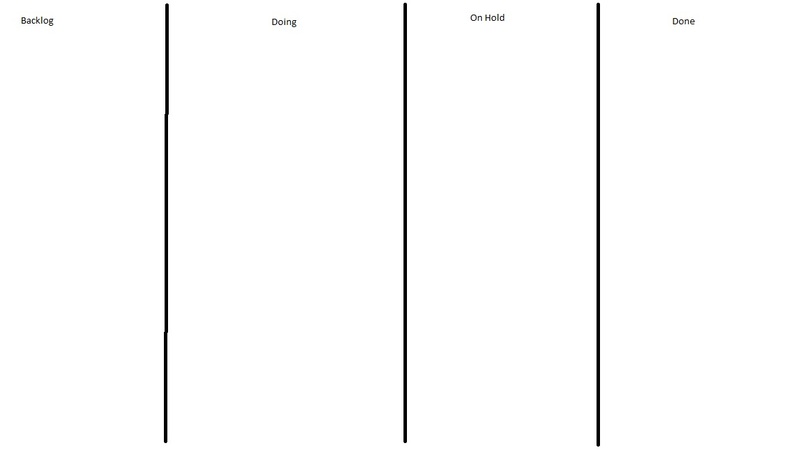 This creates a permanent background to move Post-Its around on to show your flow of work. 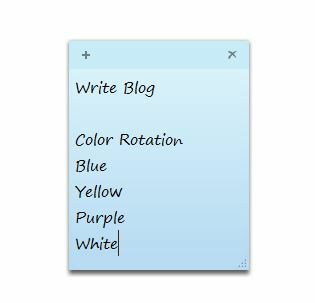 You can then use the Post-It program that comes on Microsoft PCs now as your kanban cards and move them around, like you would on a physical board. If you are a person who likes to have a lot of shortcuts on your desktop, then this can present an issue, because the Post-Its will cover up your shortcuts. Another pointer I got from a different person, was to use the color of the Post-It to signify if you have completed a weekly task for this week. For the first week, you can have the Post-It in blue and move it across your board. 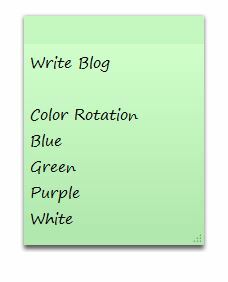 When it is time for the second week, you can change the Post-It color to green and move back to the queue. If someone has tried this or does try it, I would love to hear about it. Leave a comment below or email me through the Contact page. On my Downloads page, you can download the .jpg file of the kanban board pictured above. Karen Martin and Mike Osterling are consultants that have been helping companies with seeing their business through a different lens. Karen and Mike have co-authored two books in the past: The Kaizen Event Planner, a well written how-to guide for planning, executing and following up after a kaizen event and Metrics-Based Process Mapping, a how-to for using key metrics to analyze and improve processes. Value Stream Mapping is their third book together and again they have done a fantastic job. Book description: what’s the key message? Karen and Mike explain the in’s and out’s of understanding and completing a value stream map. They discuss how a value stream map is a tool that can help senior leaders and executives see their business in a new way. A transformative way. Karen and Mike take the reader through all the steps. They explain the importance of setting the stage prior to the starting the value stream map in order to enable success in changing the business. Karen and Mike also walk the reader through the best ways to understand the current state of the business and the importance of understanding the current reality no matter how sobering it is. Next they walk the reader through developing the future state and then the transformation plan. This book is not just a “Go do it this way,” book. The book is very complete and explains why the process they describe works. What are the highlights? What works? Most people miss the main point of value stream maps. They are about changing the mindsets of an organization through building a strategic direction with a lean lens. Karen and Mike do a great of reiterating this point throughout the book. If you have never seen or been through a value stream mapping session this book is a great guide. The explanations are spot on. Karen and Mike hit on the most important metrics that can be used on a value stream map in order to get the most out of it. They explain how the map is not complete without the metrics, which is something a lot of people will leave off when doing the map. The examples of value stream maps in the back of the book can help a reader with guidance in building their own. I know they are in the appendices but it is worth it to study all the examples. The book also has a link to a downloadable charter and transformation plan templates. I found them to be very helpful. What are the weaknesses? What’s missing? The book is very well done. Not only a step-by-step but a great explanation of why for each step. There is one thought that I believe is missing in doing a value stream map. That is the concept and discussion around ideal state. Having a direct conversation around ideal state is a step that I feel is important and I wish Karen and Mike would have spent some time on in the book. How should I read this to get the most out of it? The book can be used in two ways. One way is by someone that has been tasked to help an organization create a value stream map. It can be used as a learning text book. It can help the reader learn the in’s and out’s of creating a value stream map and give them guidance. Or even as a refresher for an experienced value stream map facilitator. Another way for the book to be used is as an education piece for executives and senior leaders that want to change their business. It can help them understand their role in the value stream transformation process and how they can help the facilitator before, during and after a mapping session. Kudos to Karen and Mike for another great book.